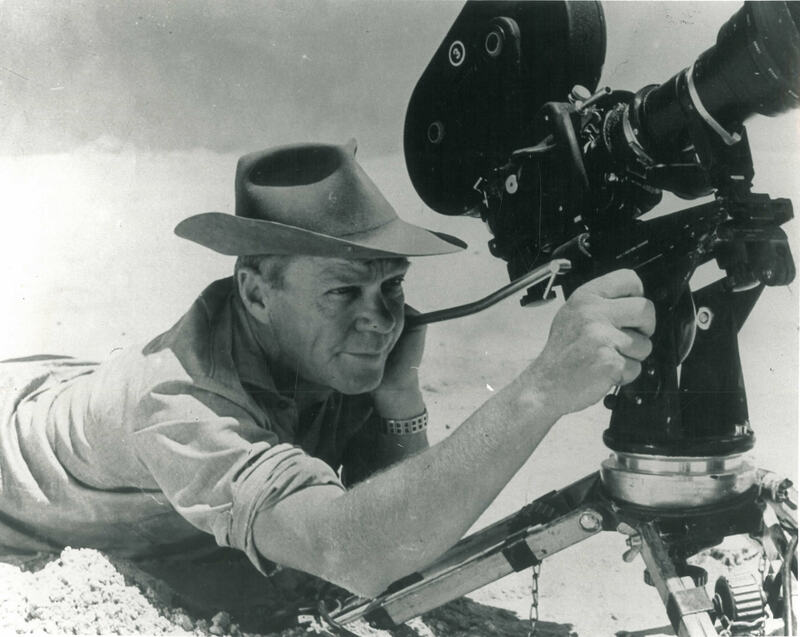 1974: Jamie Uys spent over a year filming BEAUTIFUL PEOPLE in the Kalahari Desert, emerging with enough footage for at least five full length motion pictures. "Beautiful People" is a wildlife documentary filmed against the scenic beauty of Southern Africa including the Kalahari, Namibia, Zimbabwe and Botswana. Special permits were obtained from the various authorities to film in the restricted areas. The story unfolds in the Namib desert, a vast barren waste-land where only tiny prints in the sand tell a story of a life that exists – where little creatures, from insects to reptiles, reign. A story of survival of the fittest. After the international breakthrough of "Dirkie (aka Lost in the Desert)", Hollywood wanted another Uys-picture. While filming "Dirkie" in Namibia, Uys was mesmerized by the desert’s fauna and flora, and the idea of a full length film arose: No humans. No dialogue. But a cast of thousands. Although styled like a nature documentary, "Beautiful People" is an epic feature. Uys reveals Southern Africa’s fauna and flora as a lush-dried paradise. He captures a rainbow of trees, plants, flowers and seeds to birds to fish and insects and reptiles as well as herbivores and carnivores plus his beloved desert in an unimaginable way. "Beautiful People" shows how the wild kingdom and the human world mirror each other. Part comedy, part drama, part adventure, part tragedy, part romance, part action, part educational – the picture, essentially, is a combination of genres. As the most grueling production of his career of almost 50 years, "Beautiful People" was beset with practical impossibilities. The regions Uys wanted to explore cinematically morphed with the slightest change in the weather – never mind the seasons. Nature cannot be hurried; the filmmaker simply had to wait, film and wait again. Furthermore, Uys wanted to capture Southern Africa’s natural world almost in its entirety, a rather far-fetched ambition for a man who preferred to work alone. As chief cinematographer, he travelled almost 200 000km through the Kalahari, Namibia, Botswana and Zimbabwe in over three years. “In spite of the heat, rain, tsetse flies and humidity it was fun for the most of the time,” said Uys. “Each change in the weather brought out different animals for me to look at, study and film.” In the end he had an astounding 804 672 metres of film – he would personally edit it to 3 000m. Working non-stop for 18 months, Uys, jetting between his Johannesburg studio and California, edited the labyrinth of film; his overzealousness resulting in cardiac arrest. Rina Venter, from Mimosa Films, said: “He’s overextended and moreover he’s doing everything himself.” Dr Boet Troskie, backed by Hollywood, was managing a million dollar production (South Africa’s first) which was quickly depleting by this already drawn-out production. The Americans demanded a film or the money. With the one-man movie-maestro in intensive care, the picture had the potential to kill Uys and massacre Mimosa Films. Dr Troskie persevered and Uys made a miraculously quick recovery. Uys again tackled the picture. To explain the behaviour of the animals captured on film, scenes were presented to experts and if “they could not tell me [Uys] would work it out for [himself]”. Then, Uys had to write an absorbing commentary with which to tie-up some 40 sequences. Four years in the making, the feature’s success (locally and internationally) was – to say the least – unprecedented. "Beautiful People" wasn’t merely a huge success: By 1975 more than 3 000 000 had seen the picture. Locally the picture made more than R3 000 000. At just one South African bioscope it sold more tickets than an average Afrikaans movie grosses nationally. In November 1974, Variety, Hollywood’s daily gospel, stated: “Beautiful People is an extraordinary African nature documentary, one of the finest examples of its kind and told with a singleness of purpose…” When just released in the USA, its popularity was fantastic: Within three weeks it made $525 000 in Los Angeles and $450 000 in Dallas. In Hong Kong the film (permanently sold out) causing havoc. Large crowds waited (im)patiently for hours to get tickets. In Bangkok – in 48 hours – it had set an attendance record. It made more than (US) $965 000 at three Tokyo theatres within 84 days; within 33 days Hong Kong’s seven bioscopes sold tickets worth (USA) $618 905 – eventually making twice as much as the legendary Star Wars. Across South America the movie was thrashing records. By 1980 the film had earned some (US) $15 000 000. In the same year Boet Troskie sold the television rights to the giant American network NBC: 20 000 000 Americans watched it in one broadcast. In 2009 the film, bought by Warner Bros., is still shown on television worldwide. 1974: Hollywood Press Association: Golden Globe for Best Documentary.